This holiday is smokin' at the Cheapskate Chateau for the 4th of July, and that means getting out the BBQ grill for a backyard blowout. So read on as I light up the sky with recipes, selected especially for Independence Day dining. 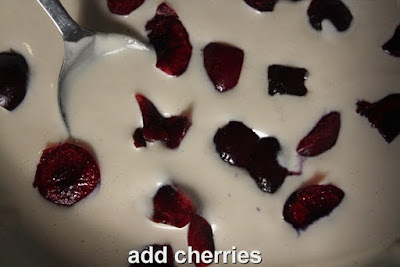 Just click on any recipe name below and you'll be directed to my original blog post recipe page of eats illustrated with yummy photos. Lets start with the main meat course. This Chintzy Chef cooks with chicken because it's the cheapest. 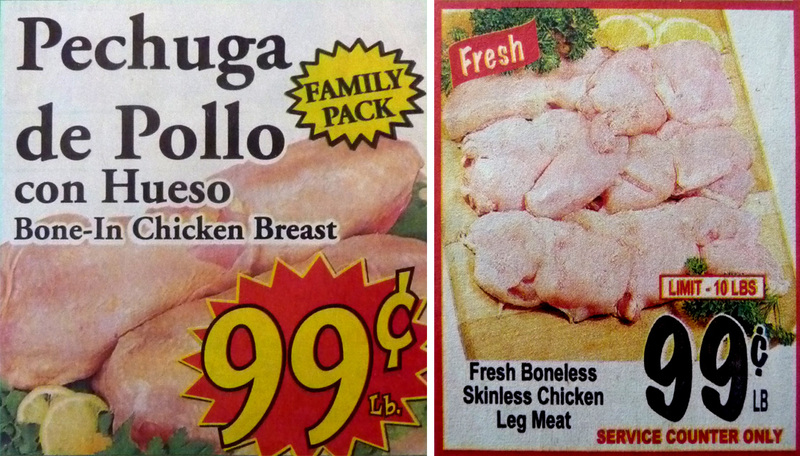 And dark meat is the best bargain. 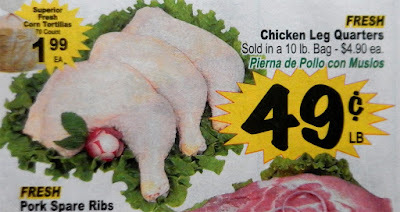 I can even get boneless and skinless chicken leg quarters on sale for around 99 cents per pound at my local Latin market. They also sell 10 pound bags of plain whole leg quarters for 49 cents per pound. Even white breast meat comes on sale for 99 cents per pound. Use your favorite BBQ sauce for a traditional red, white and blue backyard poultry cookout. I just season cheap chicken pieces with salt and pepper and slather on the BBQ sauce. Before serving, slice into the thickest part of chicken piece to make sure the juices run clean - no pink or red is allowed! What makes America great is our mosaic of cultures, so why not get multi-culti and try my recipe for a Thai-style Chicken Satay with a Peanut Dipping Sauce. The Japanese version of grilled Shish Kabobs is called Yakatori. And the Japanese like to grill it all, even chicken livers. 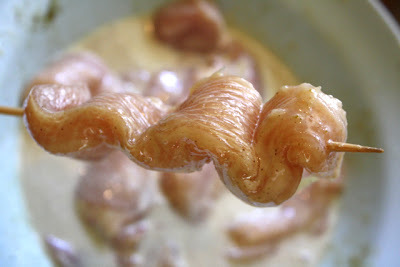 If that is too pungent for you it's okay to substitute liver with pieces of regular chicken fillets. 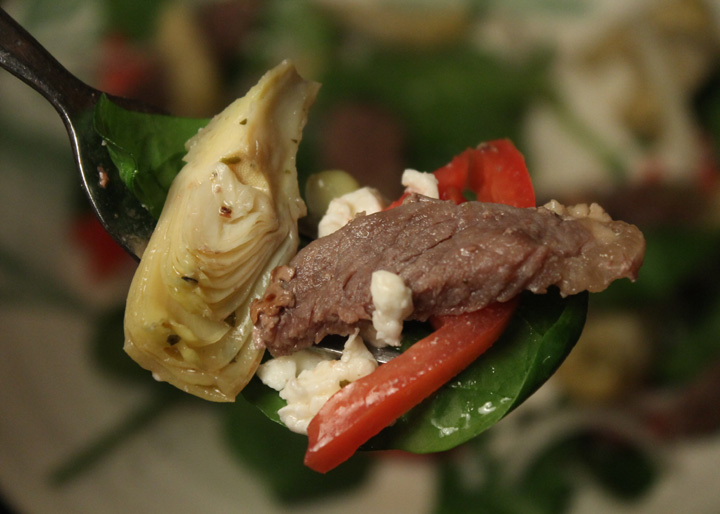 Everything tastes better when served on a skewer. 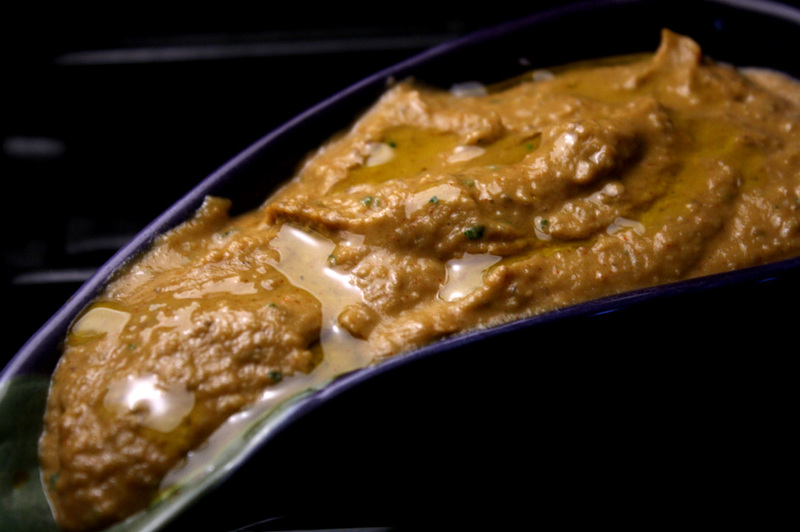 Chicken Satay - ready for the grill. You can't go wrong with grilled hot dogs, and I have a couple of unusual recipes I think you will enjoy (it's easy enough to substitute hot dogs with your favorite specialty sausages - if you're the artisanal type). Here in Los Angeles we have a uniquely constructed wiener sold by sidewalk purveyors called the L.A. Street Dog. It's a crazy combination of sauteed onion and bell pepper that's strewn over a bacon wrapped wiener, then topped with mayo, mustard, ketchup, and finally crowned with a spicy jalapeño! You've never had a hot dog like this - it's the roman candle of finger foods. In my video below I grill the bacon wrapped wiener on the stove top, but it's even better sizzling on your BBQ grill. Allow me to introduce to you to a Currywurst, which is a sausage or hot dog that's grilled and topped with a spicy sauce consisting of ketchup, Worcestershire Sauce, cayenne pepper, and curry powder (dried cumin). 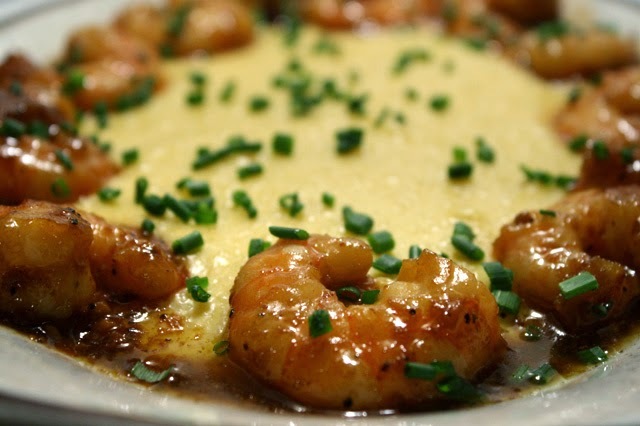 This Berlin, Germany delicacy started just after WWII as street food for British and American soldiers stationed there. 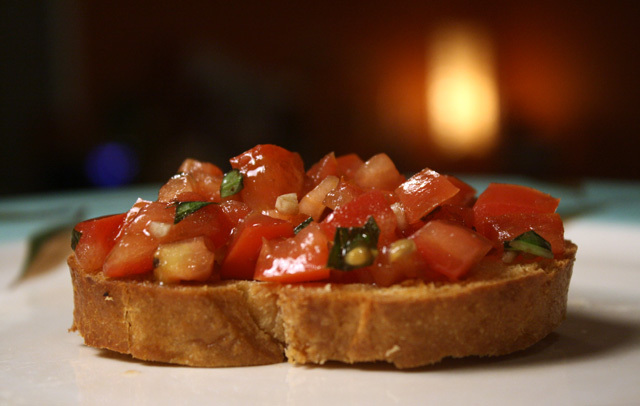 It sounds like a weird combination of ingredients, but it works and it's so easy to make, so give it a go - it makes a great appetizer served with toothpicks. 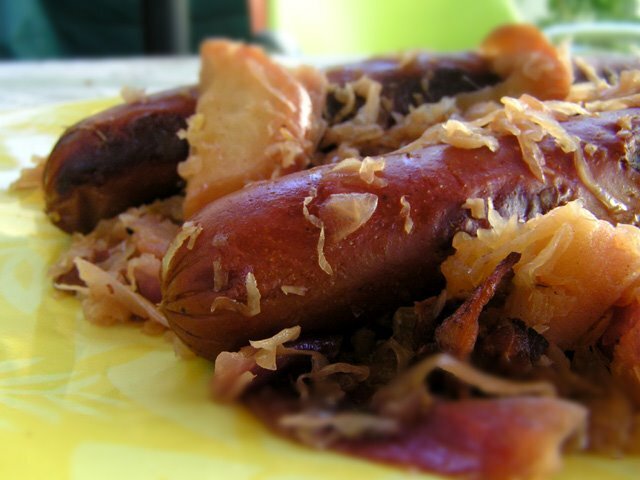 Another Eastern European entree is made with grilled Sausages, Sauerkraut and Beer. Now that's a combination I can get behind! Again, I cooked this dish on a stove top but you can cook the sausages over an open fire for extra charred flavor. I like plain hot dogs with just relish and mustard. To add some veggie crunch, try my bastardized version of a Chicago Dog. I can't get dayglow green relish out here in LA so I tweaked the Windy City's fast food classic by adding some chopped lettuce along with traditional sliced tomato. Check out my wacky video below, where my Chicago Dog is the punchline. 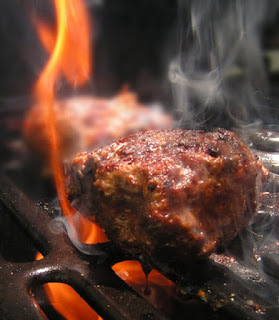 Hamburger is a backyard grill favorite and I have a South of the Border spin with my Mexi-Turkey Burger. 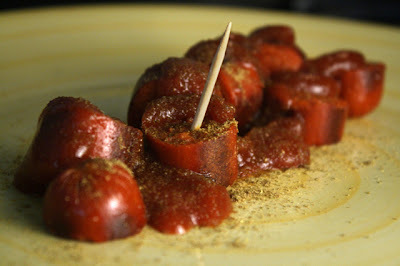 It packs a lot of flavor with the main ingredient, Mexican chorizo, which has a deep flavored red chile taste, spiced with paprika, Mexican oregano and garlic powder. 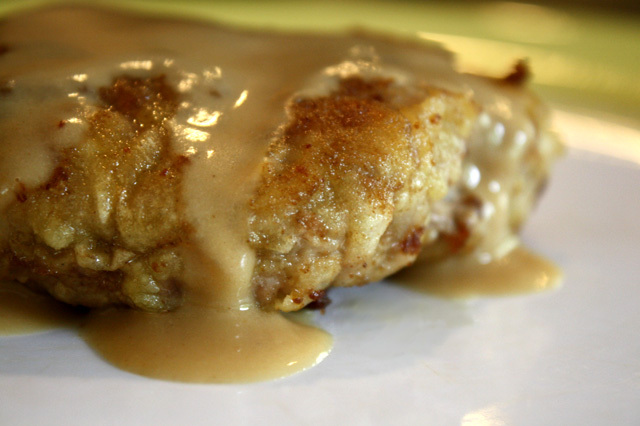 And you can use regular ground beef instead of poultry. Get out the salsa for my Mexi-Burger. Attention all you lovers of smoked pork, the following entree will have you asking for seconds and thirds. I like to smoke a whole pork shoulder when I throw a patio BBQ party. If you have traveled the South then you've run across BBQ Pulled Pork. Mainly served between buns and topped with BBQ sauce, this crowd pleasing self-serve sandwich has it all: smokey tender pork that's seasoned with a dry rub of sugar and spice. Just set out a tub of Pulled Pork along with hamburger buns, BBQ sauce, sliced onion, pickles and Coleslaw, and get out of the way as the line forms. And I have an easy gas grill smoking method you can see in my video below. 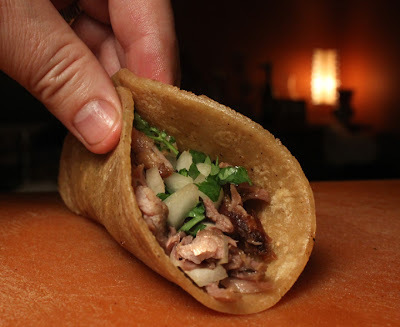 Pork Carnitas are my favorite tacos. 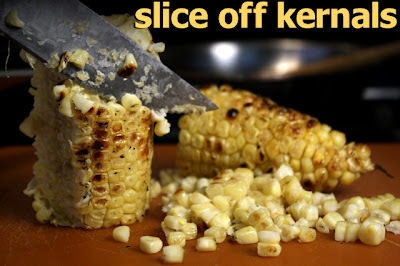 While not done on a BBQ grill it's still one of my go-to backyard holiday foods, so I gotta give you the recipe anyway. You can always give it a quick smoke pass to kick it up a notch. It really is the perfect party food because you sit back and let your friends build each taco their way. Go to the following blog post to see some tasty Homemade Salsas to serve with any tacos you like to make. 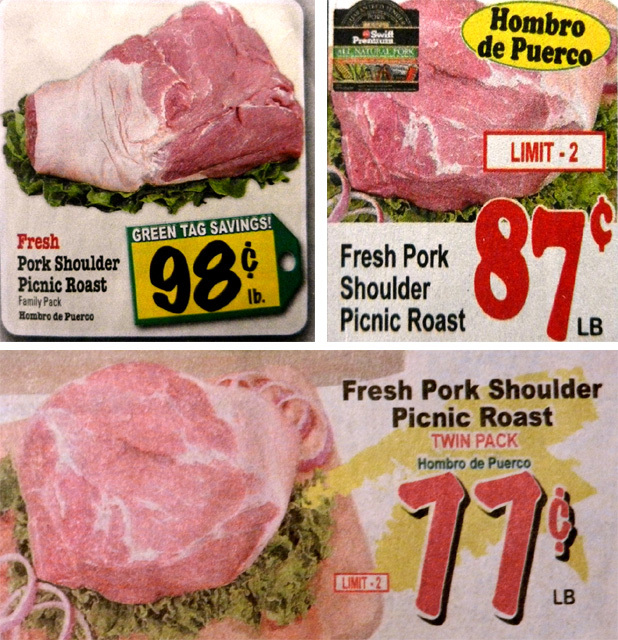 And pork is still cheap these days, especially when it comes on sale at my local Latin market. So you won't break the bank feeding your lovers of all things porcine. I seldom cook with beef because it's just too darn expensive, but when I splurge it's for ribeye steak. I just season it with salt and pepper, that's it. Sometimes I'll finish it with a little BBQ sauce. But if you want to impress your guests then try out my Carne Asada recipe. 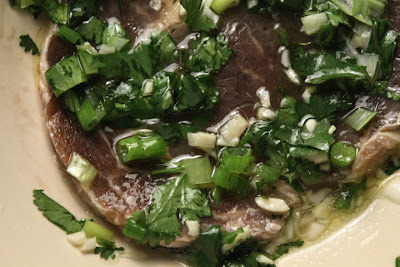 Ribeye (or any favorite tender cut) is marinated in cilantro, green onion, garlic, lime juice and a little ground cumin. When done, chop the meat for Carne Asada Tacos or a Warm Steak Salad. 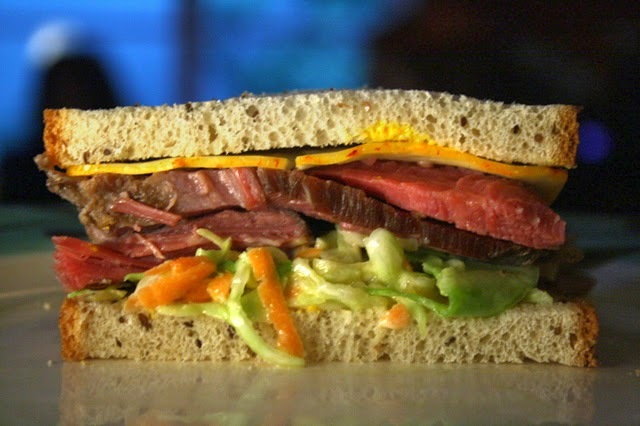 If you are smoking meat, then throw on a slab of corned beef brisket for Homemade Pastrami. I always freeze 2 or 3 corned beef briskets when they are on sale for less than 2 dollars per pound during St. Patrick's day. My Smoked Homemade Pastrami recipe is tasty as any Jewish Deli version - so says everyone I've served it too. I think it's because the smoky flavor it more intense fresh off the grill, than from a deli where the pastrami has been setting in the cold case for a few days. Hey, don't take my word for it, give it a shot and get ready for the all the high fives sure to come your way! Seafood and a BBQ grill go together. You have to have a delicate touch as fish is easy to overcook. But it's done quickly so you won't smell too smokey slaving over the grill. My nephew Zakk has put in his time as a line cook, and he gave me a Top Chef performance in his recipe video for Blackened Fish with Sweet Potato Hash. While he does his sauteing in the kitchen, you can grill the fish over an open flame, instead of the stove top. I have a deep fried Fish Taco recipe that's easily adapted for outdoor grilling. Just leave off the batter and grill the fish for a lighter and healthier pescado. 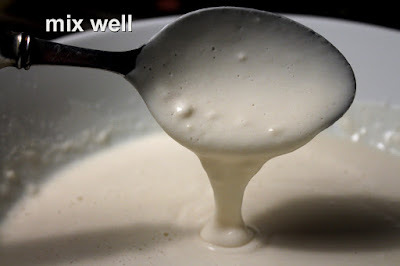 Check out my recipe for all the details, including a cool Creme Topping. 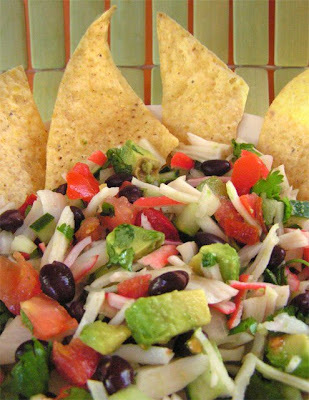 A bag of tortilla chips and a light Seafood Ceviche made with budget fake crab is a chill appetizer to greet the guests with. For my vegetarian friends the following recipes are for you. 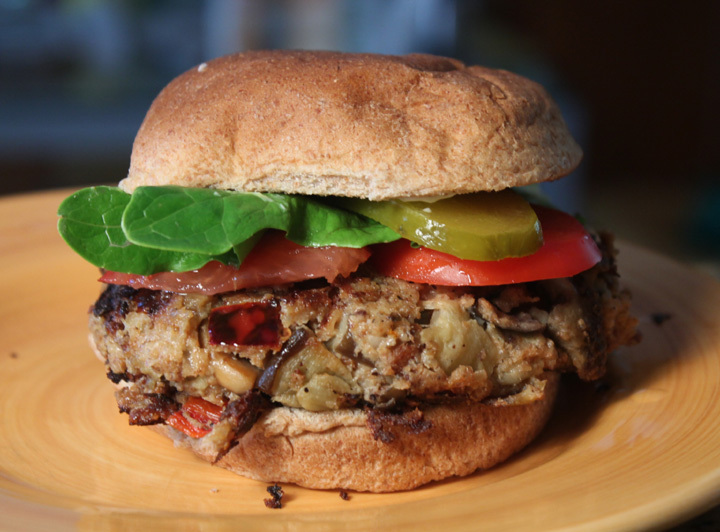 My sister Denise has a fav veggie Eggplant Burger (and easy enough to BBQ instead of frying pan sauteing). 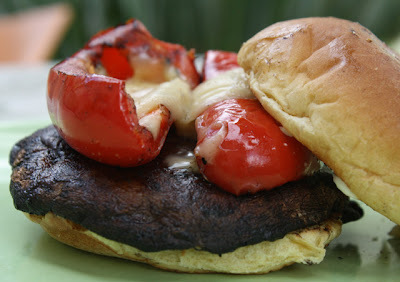 A tasty meat substitution is an earthy Portabella Mushroom Burger that's topped with grilled bell pepper and cheese (or use a cheese substitute). Roast a few ears or corn to serve with the veggie burgers or go a little further and make my Roasted Cream Corn. It's all about the veggie sides when you have a BBQ patio party, and boy do I have the recipe cherry (tomato) flavor bombs to prove it. 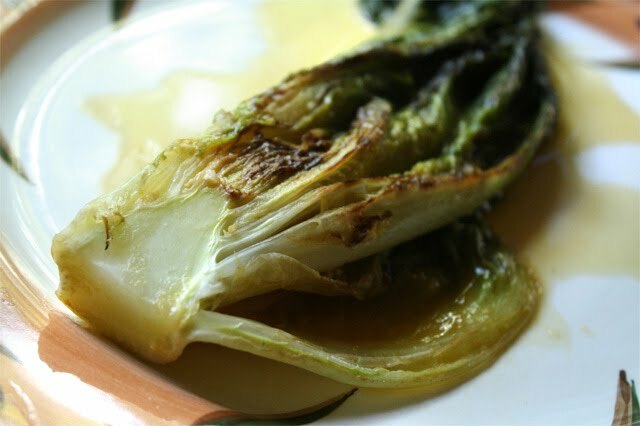 You can simply drizzle a little olive oil and season any fav summer veggie to grill over the fire. Click on any recipe name to get my recipe details for: Russet and Sweet Potatoes, Grilled Bell Peppers, Zucchini with Herbs, and Braised Romain Hearts (originally done inside, but easy enough to do outside). You gotta have Potato or Macaroni Salads when you grill meat. I have a colorful Peanut Coleslaw made with red cabbage. 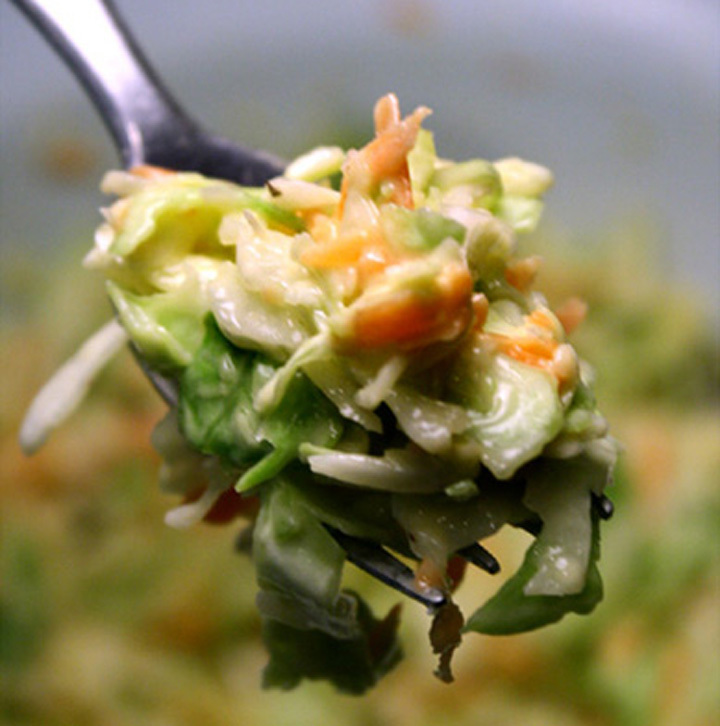 But a regular Deli Coleslaw it good enough for me. 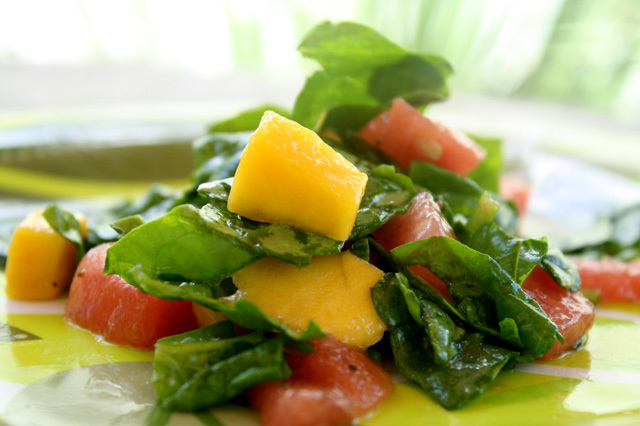 While your guests are waiting for the main event get them started with light salads like: refreshing Watermelon, Mango and Spinach; hearty Black Bean & Corn; a tangy Cuban Salad, or luscious Pears & Spinach with Herb Cream. If you are doing burgers, then you want fries to go with it, and my double-fried French Fries does the trick. I like a pot of beans on the stove simmering while I'm grilling. Cook them the day before and they taste even better the next. Be sure to set out a stack of bowls so your guest can help themselves. I like to have some grated cheese and minced onion on the side. My New Orleans friend, Miss Patty, has a delish Vegetarian Red Beans recipe for you, and I have my own Beef & Bean Chili. 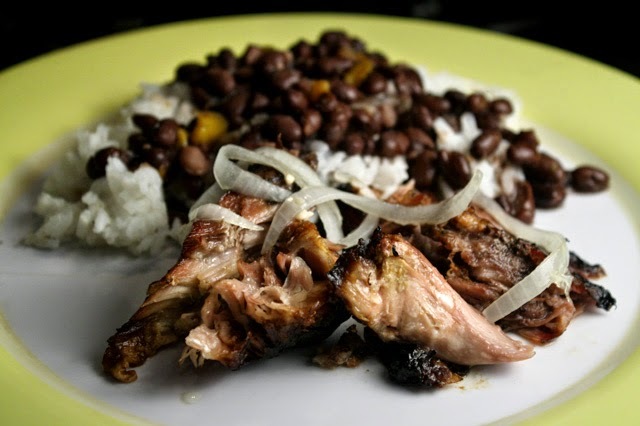 There is nothing better at stoking appetites than walking past the kitchen and inhaling the savory perfume of legumes slow cooking on the stove top. And great grocery deals are happening this week, too. Steak, hamburger, chicken, corn, watermelon and hamburger buns are all on sale right now. 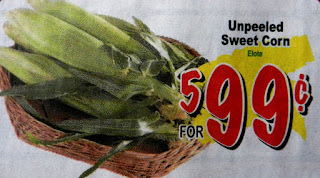 Be sure to check out your local grocery fliers for all the holiday deals. 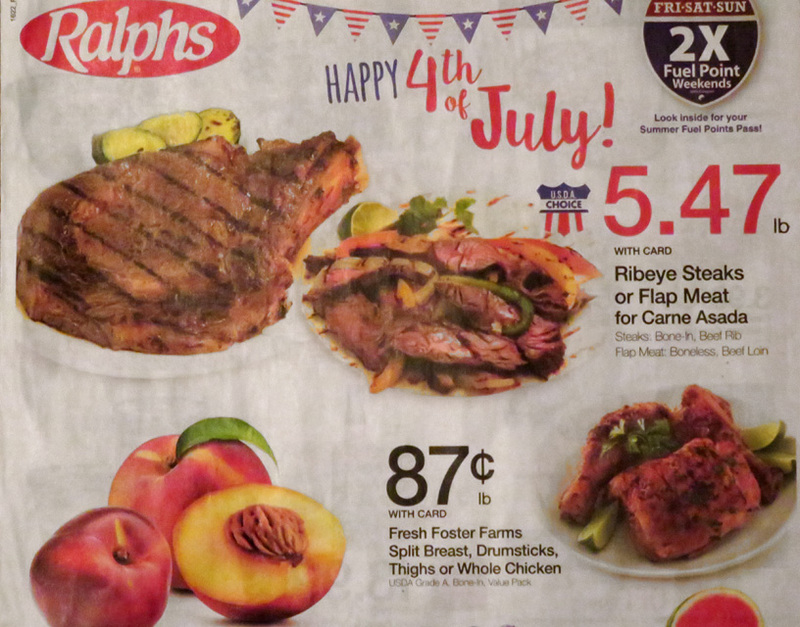 Independence Day is fast approaching, so create your own 4th of July menu using any of the Patriotic Chef's recipes above. I guarantee your guest will need to chase down the flavorful culinary fireworks you serve with iced tea and a lemon slice, a glass of chilled Chardonnay, and a frosty bottle of beer. Bring it on! 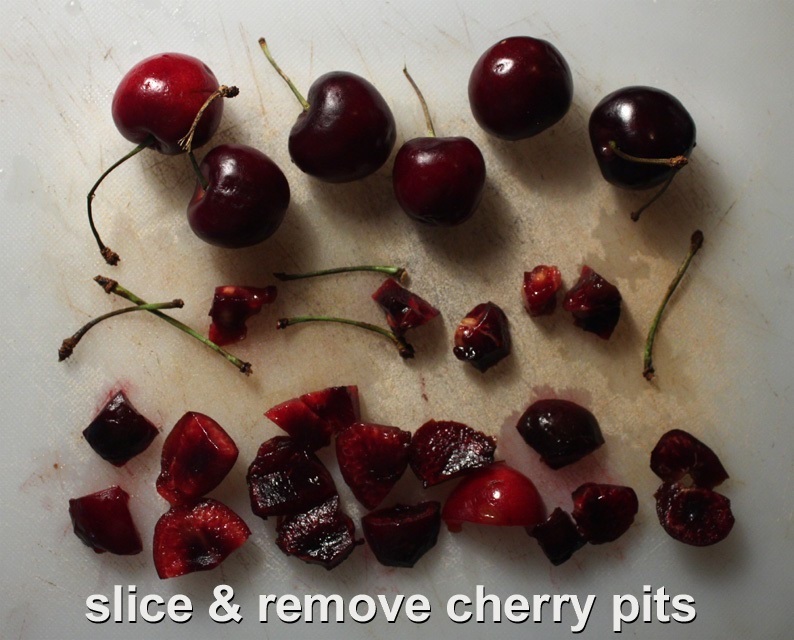 It's cherry season in California and now is the time to get them cheap. They come on sale at my local 99c Only Store and Latin market for, you guessed it, 99 cents per pound. 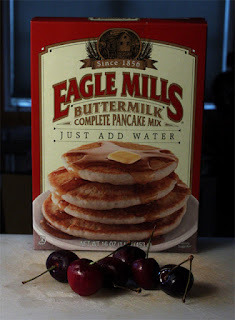 So read on to get a breakfast recipe I think you will enjoy: Cherry Pancakes. Cherries are notoriously expensive, but for a month or so they come down in price, and I always get a few large bags during the summer season. 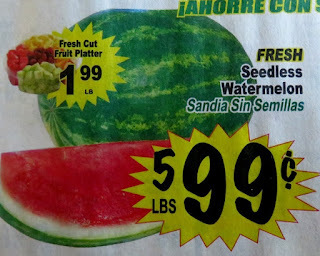 At first appearance they are around $2 per pound, but wait a week or two and the price quickly drops. I like to add them to yogurt or as a mealtime dessert -- I'll also nibble from small bowls throughout the day. 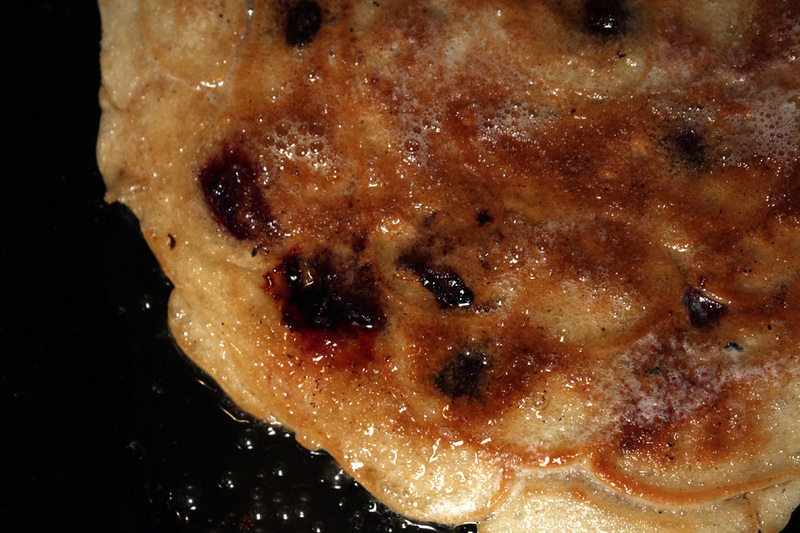 They are especially good in pancakes, like almost any seasonal fruit would be. And if cherries are too expense or hard to get, you can substitute with your own local fruit stand favorites. It's much easier to just pop one in your mouth and chew around the cherry pit. But for pancakes it's best to slice around cherry pit. Once you get going it only takes a few minutes to get a cup full for my Cherry Pancake recipe. You can go online to get a special device that pits them as well. For the pancake batter I use commercial brand. If you have a homemade recipe then use it. 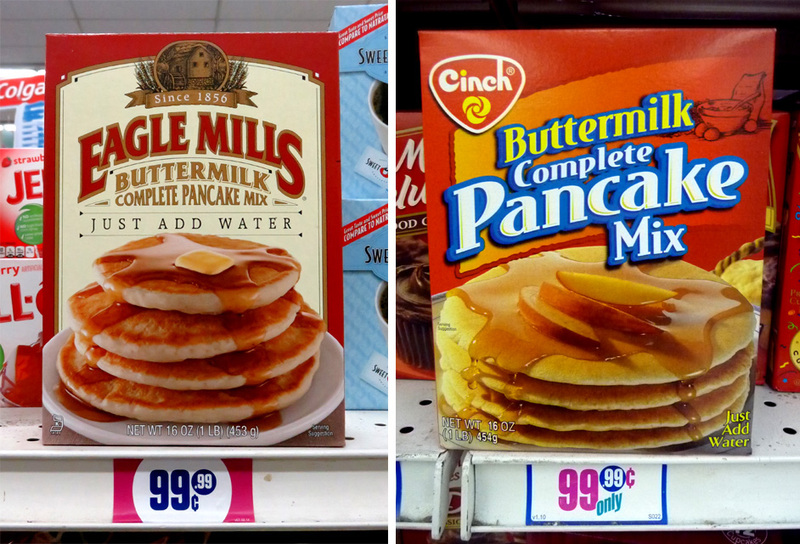 I can get a large box of dry pancake batter at my local 99c only Store. 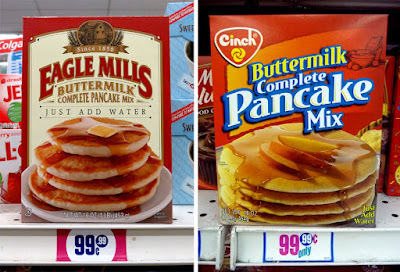 Regular grocery store sell it cheap enough, too. 1 tablespoon of cooking oil - to grease skillet. 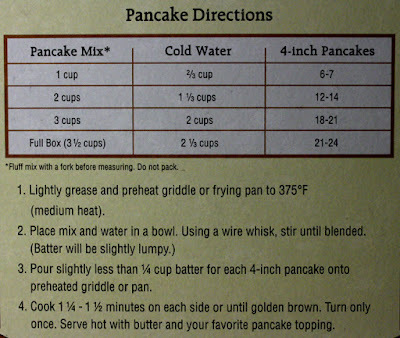 Add more when needed, depending how many pancakes you make. 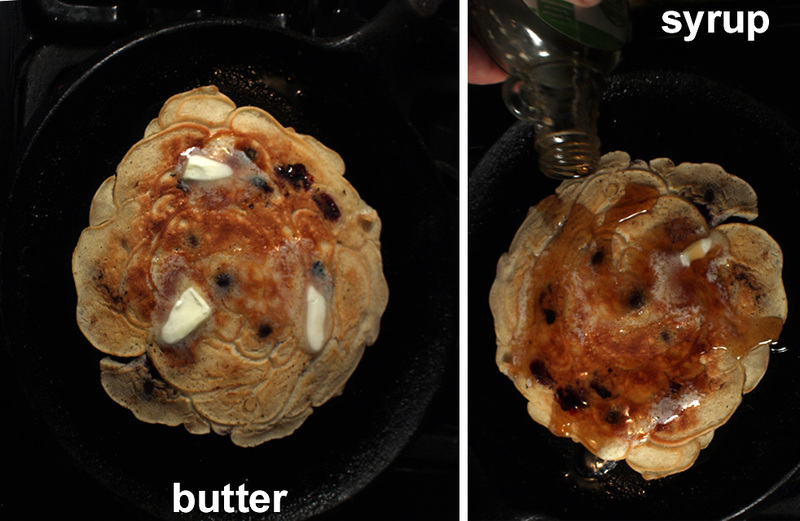 Butter and favorite pancake syrup - add as much as you like. 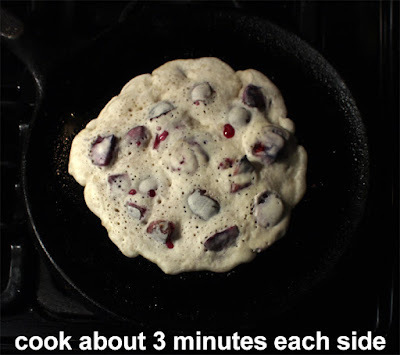 Mix sliced cherries into pancake batter. 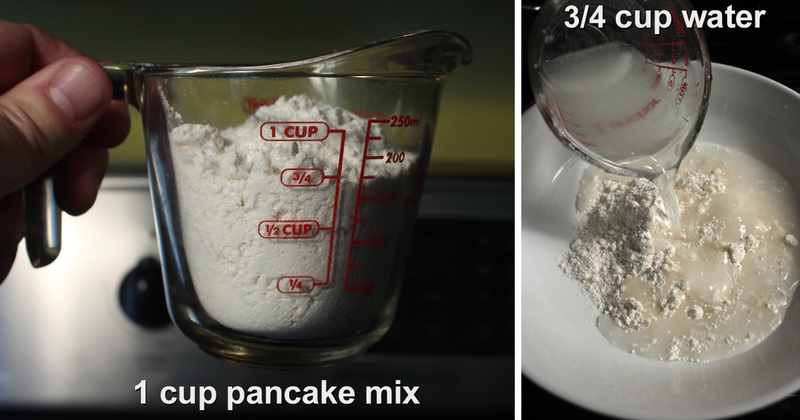 If you want a dark brown pancake presentation, then just cook one side to get the right amount of brown, then cook the other side for a minute, to finish. 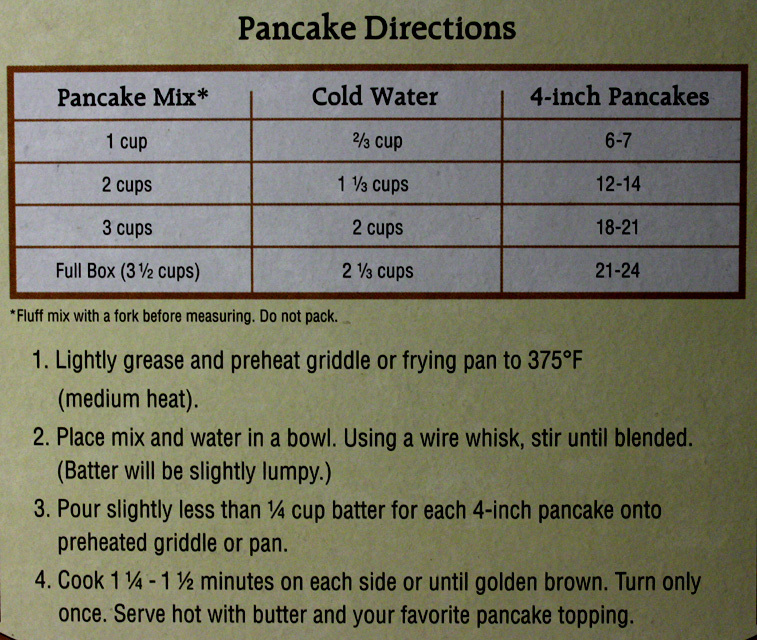 Serve browned side up, on the plate. 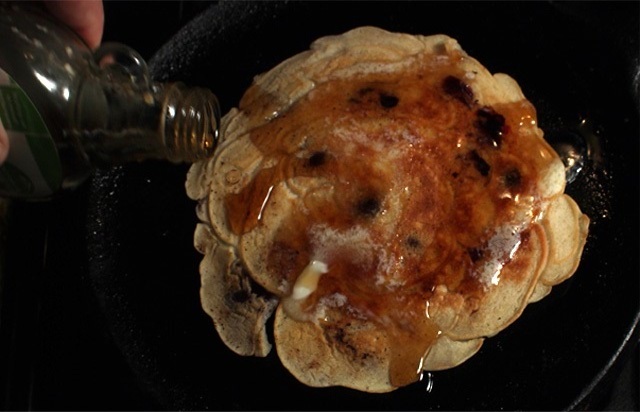 Serve hot with melted butter and favorite pancake syrup. I know what guys like to eat, I know what guys want. So get out your notebook, or bookmark this page for a slew of recipes that Fathers everywhere will enjoy. 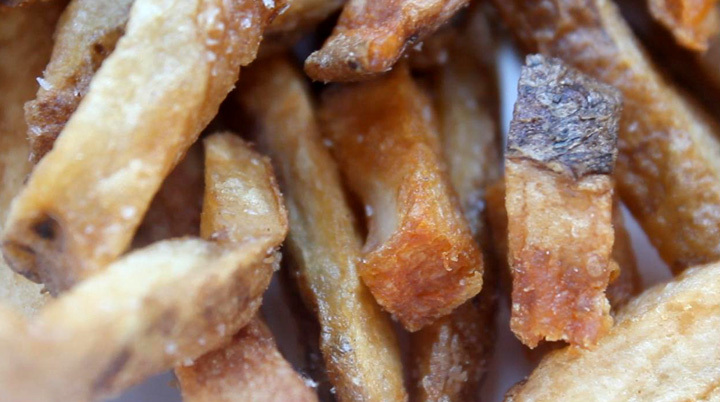 This most British of dishes is literally made with meat and potatoes. It's a one-pot meal and simplicity defined. 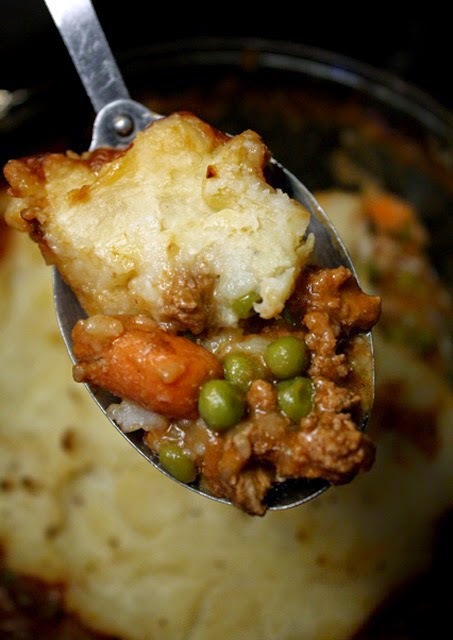 Just make your favorite mashed potatoes (or follow my recipe) and spread it over a beefy, tomato paste and Worchestershire-flavored stew, which also includes: ground meat (I used cheap ground turkey,) onion, carrots and peas. And you finish it off in the oven, until pipping hot. After that meal your Dad may be put in a food coma, so make sure he has his favorite spot on the couch ready, including a foot cushion and TV remote controller. For more meaty meals to serve your Dad (or Husband) just click on any of the following recipes: Chicken Satay with Peanut Sauce, Sausage and Sauerkraut with Beer, Pulled Pork, Chicken Fried Steak & Gravy, Homemade Deli Pastrami, Chicken Stroganoff, Roast Cuban Pork, Meatloaf, Carnitas (Mexican-style pork,) Baked Lasagna with Ground Chicen, Sweet and Sour Pork, Mint Roasted Chicen, Steak Carne Asada, Pork Bourguignon, and BBQ Chicken. My Louisiana neice, Candyse, is a new mother. You've seen her in a couple of my Mom's cooking videos. I even made one with her husband, and proud papa to newborn Ava, Chef Tony. He's the face (creating a bunch of cooking videos) and main chef for BBQ Guys. When I asked him what Cajun dish he wanted to cook for this blog, he chose a classic Cajun dish - Crawfish Etouffee (written recipe here.) Check out the talented Chef Tony in action in my video below. Dad's definitely like seafood, so give Chef Tony's rich flavorful stew a try for one of the main men in your life. 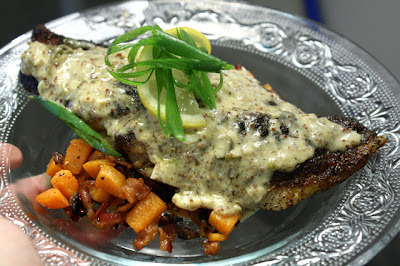 Other seafood entrees I would recommend are (click on any name to see): Fish and Chips, Scallop Rolls, Fish Tacos, Fish Veracruz, a rich Portabella Crab Rockefeller, Coconut Crusted Fish & Mango Salsa, Scallops and Snow Peas Stir Fry and Salmon Olympia. My Louisiana sister Brenda is married to Rich and he is the Dad to 2 of my nephews, who are have put many hours at the grill in various restaurnats. I always have a good time making cooking videos with them whenever I visit Cajun country. Like Chef Zakk's Blackened Fish and Sweet Potato Hash right here. My oldest nephew, Chef Matt, has a nickname for me. He also has a cute boy named Miles and he's a handful. If you are thinking of having a boy then you want to check out my video below of Miles First Bite to see what's in store! 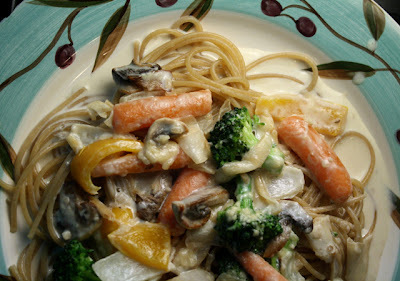 Click on the follow recipe names if you would like to cook a Cajun inspired meal for Father's Day, including: Zakk's Cajun Style Pasta Primavera and Blackened Fish with Sweet Potato Hash, Mom's Chicken & Andouille Sausage Gumbo and Jambalaya, Matt's Alligator Po'Boy Sandwich, and Shrimp and Grits. 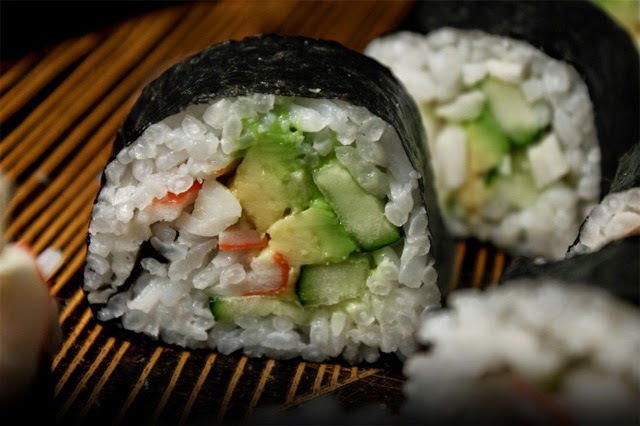 I break it all down for you with easy-to-follow sushi rolling GIF illustrations and a Sushi Rice recipe as well. Click here to get started or click on any recipe name above. I work with a vegetarian Dad. We're facebook friends so I am enjoying his latest posts featuring his high school daughter who just graduated. She even once posted about making a Mushroom Risotto for his birthday. 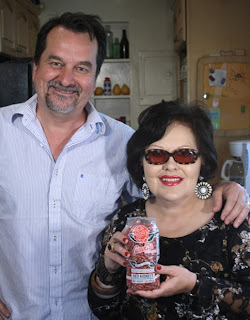 Well, I don't know her recipe, but if it's good enough for her Pops then is good enough for all my Dad blog readers - click here to see my own Mushroom Risotto recipe. 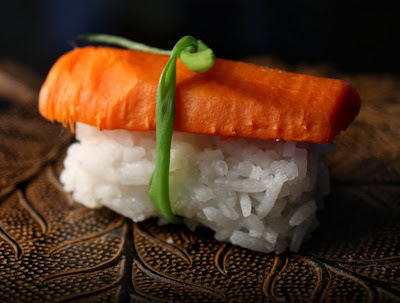 I like to cooking with mushrooms as you can see by all the following recipes - go ahead and click on one: Mushroom Nigiri Sushi, Mushroom Soup, a Portabella Mushroom & Bell Pepper Burger, and my Portabella Mushroom Fries video below. Here are some other vegetarian dishes your noshing Husband, Dad or Grandad will enjoy, so click on any following recipe name: Denise's Eggplant Burger, Borscht, Black Bean and Corn Salad, Baba Ganoush, Carrot Nigiri Sushi, Pasta Salad, Stuffed Tomatoes, Saag Paneer (creamy India-style spinach,) Falafel, Steamed Artichoke, Ms Patti's Red Beans and Rice, Eggplant Parmesan, Braised Romaine Lettuce Hearts, Pasta with Cashews & Garlic, Veggies in Cream with Pasta, Tomato and Basil Bruschetta, Eggplant Hummus, Snow Peas with Tofu and Ramen Stir Fry, Veggie Curry with Lentils, Baked Pasta with Califlower and Cheese, Veggie Tempura, French Onion Soup, and Pear & Spinach Salad with a Creamy Herb Dressing.